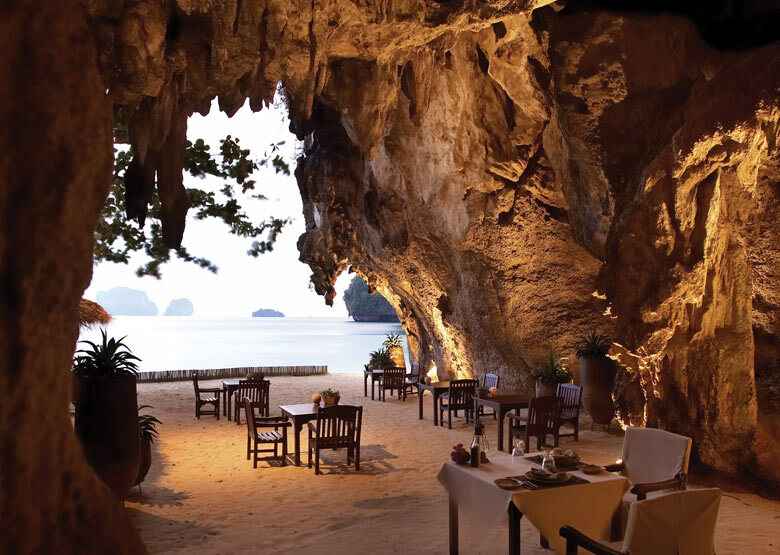 Rayavadee is Krabi’s premier luxury five star resort. 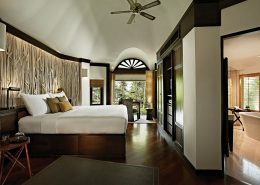 Private, romantic & simply stunning this is one resort that ticks all the boxes for the perfect getaway. 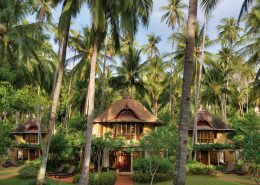 Surrounded by lush jungle foliage and with a backdrop of sheer cliffs, this fabulous resort is the perfect choice for romantic couples and families looking to escape the hustle and bustle of the more popular tourist regions of Phuket. The 98 two story pavilions and 4 luxurious villas are scattered throughout 26 acres of coconut grove, with award winning architecture that blends with its natural surroundings. 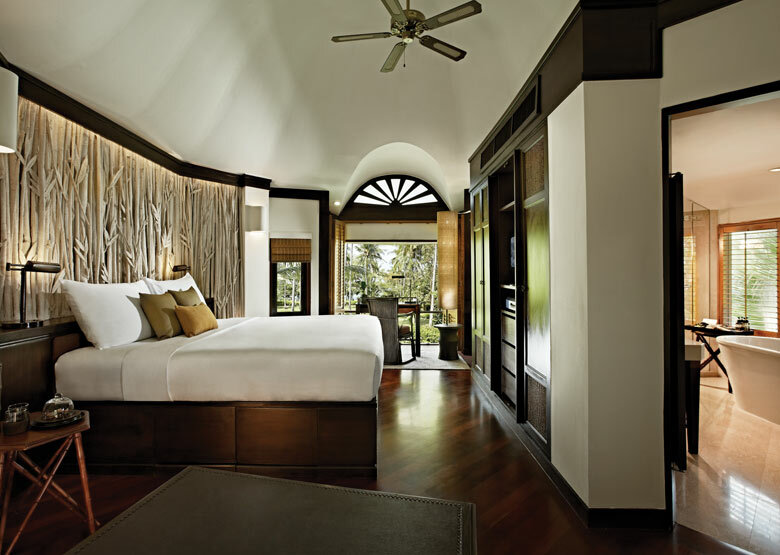 Its stylish tropical décor blends rich Thai silks with polished woods and hand crafted furnishings. 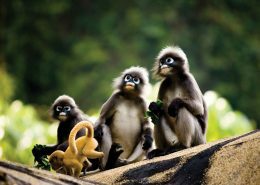 There are 5 multi bedroom accommodations which are ideal for families, and a ‘Just For Kids’ activity program that offers interactive experiences for children allowing them to explore Thai culture and the natural surroundings. 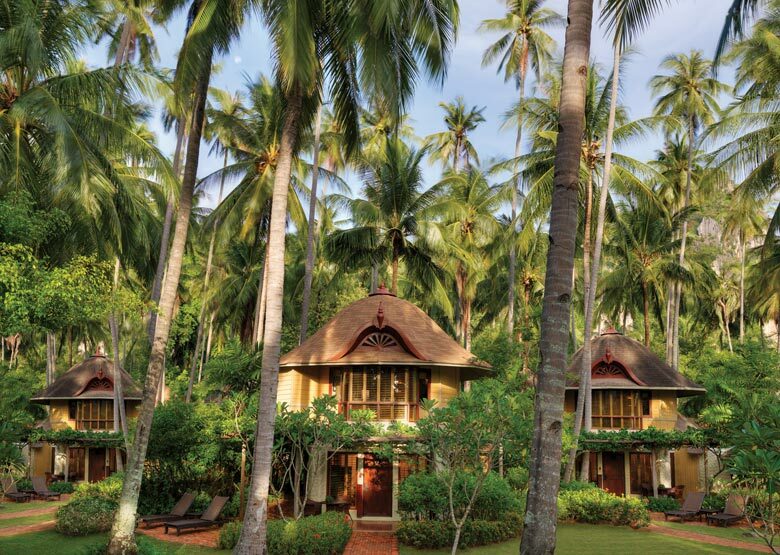 Rayavadee is the ideal getaway for those wishing to escape the busy tourists spots. Relaxing and luxurious, this resort features beautiful accommodation surrounded by magnificent landscapes. A must-see holiday destination. Rayavadee is situated on southern Thailand’s Andaman coast. 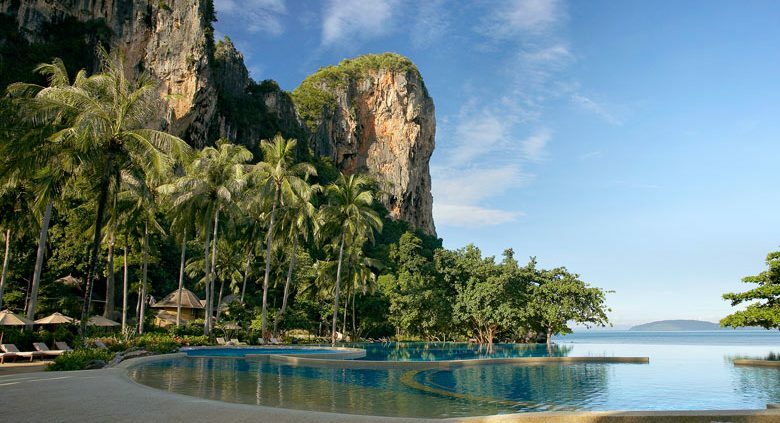 Krabi International Airport is located just 23 kilometres from the resort (approx. 25 minutes drive to the pier). 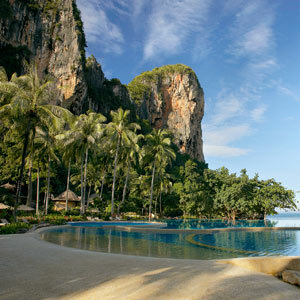 Guests access the resort by speedboat ex Krabi pier. See map below for exact location. From the moment we stepped off our flight in Krabi, the team at Rayavadee made our five days in Railay simply amazing. We could not have been happier that we decided to treat ourselves for out honeymoon and kick off our Thai adventure at Rayavadee. The grounds are absolutely stunning, the service is next level and the accommodation is so peaceful.